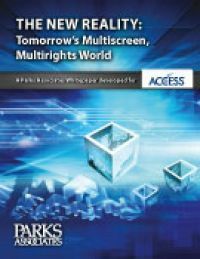 To download the Whitepaper "The New Reality: Tomorrow’s Multiscreen, Multirights World", please fill in the short form on the right. Fields marked with and asterisk * are mandatory. Please make sure that your email address is correct as we will directly send you the PDF download link. Mandatory field Human? * What is the sum of 6 and 6? What is the sum of 6 and 6?